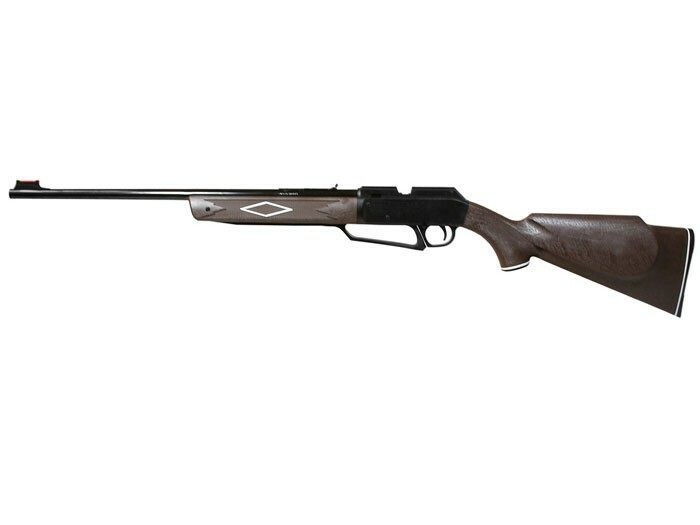 Daisy's most popular air rifle! The 880 shoots both BBs and pellets, and it does so with amazing power. This multi-pump pneumatic sends ammo roaring downrange! BBs go up to 750 fps (Never shoot BBs at hard objects! ), and pellets go up to 715 fps. 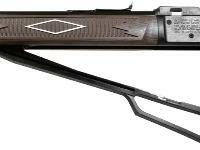 You can adjust power and velocity by the number of pumps you put into the rifle (up to 10 pumps). 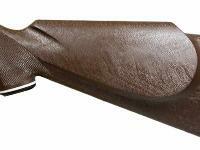 The synthetic molded woodgrain Monte Carlo stock has a raised right-hand cheekpiece and checkering on the grip and forearm. 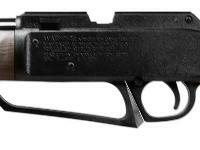 The front sight is fiber optic, the rear sight is fully adjustable but is not fiber optic. For more accuracy, mount a scope, red dot or laser on the 11mm dovetails on the receiver (made of engineering resin). It's a BB repeater (holds 50 BBs) and a single-shot pellet shooter. Take this rifle plinking, target shooting or if you just want to have fun! It's lightweight, so you can shoot for hours. This rifle is so much fun to shoot, you'll run through pellets and BBs pretty quick. Click the AMMO link to stock up on ammo. Click the ACCESSORIES link to find fun targets and other shooting gear. Things I liked: I was fooled when I took it out of the box. It felt flimsy. All plastic. I thought, "You get what you pay for", and started to write this off as a bad buy. Then I took it outside an put a few pellets downrange.I loaded in a heavier pellet (16.1gr) and pumped it 15 times. I know, I know..."manual says no more than 10 pumps". I can afford another one if I blow the seals. Anyway, at 25 yards, this rifle is a squirrel's nightmare. Deadly accurate, with enough knockdown power to get the job done humanely. Things I would have changed: A more sturdy pump arm. It feels as though the thing is going to break at any moment. Especially on the 15th pump (wink). The bolt handle is just as flimsy feeling. The trigger, while not horrible, acts more like a two-stage. There is is a mushy first part, then a SNAP. I liken it to the feeling of setting a mouse trap. That dangerous moment where you have it set and are attempting to place it without it snapping too soon. What others should know: This is an absolute "must buy"!!! No joke. It is amazingly accurate, and powerful. 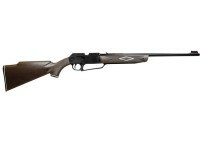 Those two qualities are the reasons why you buy a rifle, especially if using for small game or rodent control. The combination of the heavier pellet and this power plant is the key. Many people seem to think that the limitations on the number of pumps is due to strength of the seals. Not true. The limitations on the number of pumps is based how quickly the pressure chamber can empty. If a release valve is designed to work with a maximum of 10 pumps, adding more pressure (pumps) can actually slow the pellet down because the hammer can't open the release valve as much as it should. Too much pressure equals insufficient opening of the release valve and a result of less air and less pellet speed. In other words, those additional pumps are wasted effort.......Can they be modified to work with more pumps? Certainly. Modify the pressure chamber outlet, increase the force of the hammer, and tune the valve to stay open longer and you can pump to your heart's content (or until the seals actually do give way). But pumping more than the stated max in unmodified guns is mostly wasted effort. Things I liked: I liked the power of it. I was able to put a hollowpoint pellet through a fence board at about 10 feet using it. 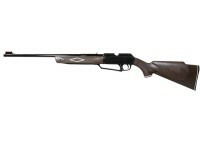 What others should know: My father owned one of these and was able to kill an opossum using it. Mine took about 10 years to break and we didn't clean it once. It recently broke and I cut the stock and half of the barrel off and now it works fine. Things I would have changed: Everything but the powerplant. I real barrel would be nice! 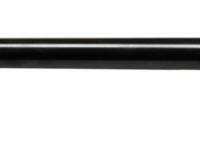 What others should know: This is a scary-powerful plastic kids air rifle. It's not accurate. It shoots BBs and pellets much harder than an old 760 Pumpmaster but is a toy by comparison. A very very powerful toy! If it shot straight, I'd love it! (despite the cheap BB gun barrel wrapped in black painted "tin" and the toy-gun plastic stock and forearm.) I've tried 4 or 5 different pellets and they all fly anywhere but where you point them. I can mostly hit a spray paint can at 50 feet but trying to punch paper is frustrating! I would have liked to use it for some barn swallows. It's got the power, but it's just not accurate enough. If you're going to shoot barn swallows it's good it's not accurate! Try pigeons they're a bigger target & send me your barn swallows! My boys and I each had an 880 and we kept us in meat with pigeons, rabbits and squirrels. They are plenty accurate for head shots so we didn't waste any meat! 8k03714. I'm looking for the manufacturing date on my daisy powerline 880. Number on the barrel is 8k03714. Models with metal receivers and pump handles were made between 1970 and 1993. 1993 to present are plastic receiver and pump handles , the newest ones being China's version. 1970 to 1993 should say Rodgers Arkansas USA on the barrel shroud. Checking the internet might be of some help also? will bbs hurt the rifling in anyway. mines a laser w/rws superdomes and don't want to mess that up. Yes if you shot enough BB's through a rifled barrel they will cause harm. Do the H&N Excite Smart Shot 0.177 cal, 7.4 grain, copper plated LEAD BBs work in the Daisy 880? Yes if you load them single, like pellets. Probably from feeder also as feeder works for lead round ball. No they would not work this rifle it has a magnetic tip on the bolt to hold the bb in place . They work best in guns with a spring loaded magazine or gravity feed.